Head down to Austin, named one of “America’s Best Foodie Cities” by Travel + Leisure. Or, if you are from Austin, take a trip to the Big Apple. 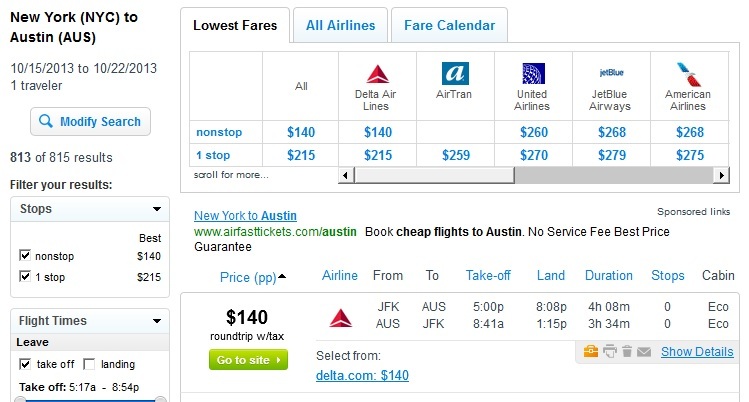 At just $140 roundtrip, including taxes, this fare is over $100 less than the typical sale price we’ve seen from major airlines just a few days ago. 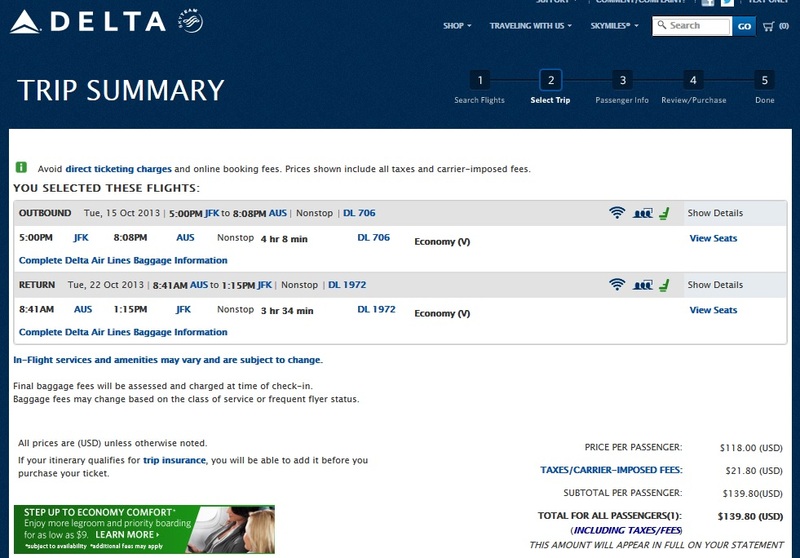 This fare is nonstop on Delta airlines and is widely available through April 2014. We found this fare yesterday, but it disappeared after only about an hour, which means we expect this to be gone very soon – so BOOK ASAP! 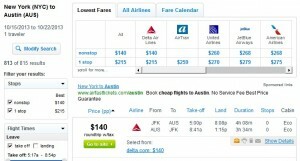 Click the link below to search for the best dates to travel using Fly.com’s Fare Calendar through December 31. For dates in 2014, use the search box on the upper right hand side of the screen. Fares are now gone. Hope some of you booked it! I did.